Clear glass Pyrex cookware is practically an American icon. With its pleasing heft and remarkable resilience, these famous clear pans have been essential when cooking biscuits, casseroles, and pies since 1915. There’s only one problem. About 15 years ago, the pans started exploding when they got too hot — which is ironic since Pyrex glass was specifically designed to be heat resistant. Some blamed a change in the glass formula and flocked to thrift stores to buy older models. Others cried hoax. Everyone agrees that exploding glass is bad. Pyrex made headlines recently, because its parent company made a big move. Corelle Brands, parent company of Pyrex among others, is planning to merge with Instant Brands, maker of the very popular Instant Pot. Terms of deal were not disclosed, and it’s unclear how the merger will affect any of the companies’ products. 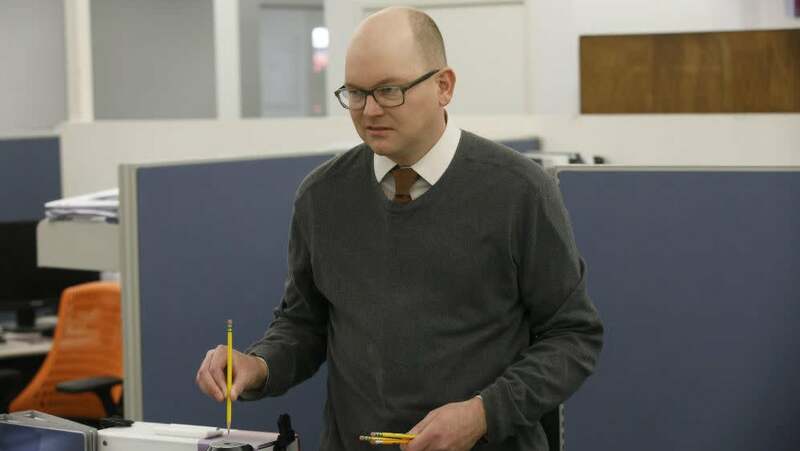 However, the news does bring to mind that decades-old controversy involving beloved glass pans, violent explosions, and some gnarly injuries. 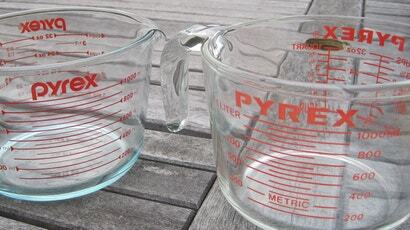 Pyrex is also the subject of a class action lawsuit in Illinois. In court filings, Pyrex’s parent company, Corelle Brands, insists that incidents of breakage result from customers improperly using their products. More on that case in a minute. To understand the Pyrex controversy, you have to look at the reports of explosions within the context of the history of glass. Not the whole history of glass, of course, but rather a series of innovations that started with Otto Schott, a German scientist who invented a new type of glass in the late 1800s. This so-called borosilicate glass was not only heat resistant but also stood up to sudden temperature changes. Corning Glass Works developed its own recipe for borosilicate glass in 1908, and Corning employee Jessie Littleton discovered a new use for the material after his wife Bessie used a sawed-off borosilicate glass battery jar for baking. Seven years later, Pyrex cookware hit the American market. The company referred to its products as “fire-glass” in early ads. These dates are important because Corning’s patent on the borosilicate glass used to make Pyrex pans expired in 1936. At that time, the company developed a new formula for aluminosilicate glass, which it used to create a line of frying pans called Pyrex Flameware. (This line was discontinued in 1979.) The real roots of the current controversy were planted in the 1950s, when Pyrex began making cookware out of tempered soda-lime glass. Corning licensed the Pyrex brand to a company called World Kitchen—now known as Corelle Brands—in 1998, and by nearly all accounts, all Pyrex cookware sold in the United States after that year has been made of tempered soda-lime glass. This is where the controversy really heats up. The vast majority of glass products are made of soda-lime glass: window panes, jars, bottles, all kinds of glass. Soda-lime glass is cheaper to make than borosilicate glass, which is undoubtedly why Pyrex started experimenting with it. However, borosilicate glass is not only harder, stronger, and more durable than soda-lime glass; it’s also more resilient to thermal shock. Thermal shock is what happens when a temperature change causes different parts of a material to expand at different rates, and the resultant stress can cause the material to crack. If the temperature change happens rapidly materials like glass can shatter or seem to explode. Resistance to thermal shock is part of why Pyrex became so popular for cookware; you could move a hot glass pan into a cool spot without worrying about it cracking or shattering. It’s also part of why laboratories prefer to use borosilicate glass rather than conventional soda-lime glass. Pyrex cookware currently sold in the United States goes through a thermal tempering process. In theory, this should strengthen the glass. In practice, the difference between the performance of borosilicate glass and soda-lime glass is significant. When asked about the science behind the glass, Dr. John C. Mauro, a professor of engineering and materials science at Penn State, said in an email that the coefficient of thermal expansion (CTE) is the main parameter used to measure thermal shock resistance. A higher CTE number means the material is less resilient to thermal shock. For example, Corning Visions cookware, an antecedent to Pyrex Flameware, is designed for stovetop use and has a CTE close to zero, Mauro explained. Borosilicate glass has a CTE of 3 or 4 parts per million per 1 Kelvin change (ppm/K). But soda-lime glass has a CTE of 9 to 9.5 ppm/K. Mauro knows his glass, too. Before taking his faculty position at Penn State, he spent nearly two decades working at Corning, where he was one of the inventors of Gorilla Glass. It’s worth remembering that Corning was the birthplace of Pyrex. Mauro has also co-authored academic papers on the glass chemistry of Pyrex, and he is the editor of the Journal of the American Ceramics Society. Based on his extensive knowledge of the material, Mauro actually makes the science behind soda-lime glass and heat sound even more damning. He went on to note how soda-lime glass is tempered to improve its strength. However, that tempering process also makes the interior of glass more compressed. So perhaps appropriately, the shift from borosilicate to soda-lime glass was a big deal to Pyrex enthusiasts. Many believe that the new tempered soda-lime glass is more prone to exploding during temperature changes, a belief that is supported by some basic science. World Kitchen, the company purportedly responsible for the shift, insists that its tempering process is so good that the difference of glass type doesn’t matter. Meanwhile, Corning executives have since claimed it manufactured Pyrex out of both borosilicate and soda lime glass for years before selling the brand to World Kitchen. This hasn’t stopped Pyrex shoppers from scouring the internet, estate sales, and thrift shops all around the world in search of borosilicate Pyrex. How much better older (or European) borosilicate Pyrex is than newer soda-lime glass Pyrex is up for debate. Exploding Pyrex incidents have happened, since the World Kitchen takeover, however. 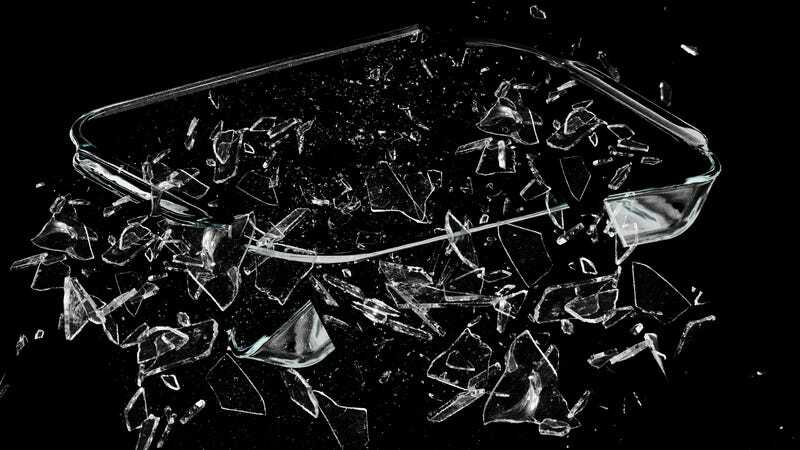 An oft-cited Consumer Affairs investigation from 2008 showed some pretty gnarly accounts of people doing simple things like putting a hot Pyrex pan in the oven only to have it explode in their hands, sending scalding shards of glass into their appendages. There are photos of the injuries, too, so be careful clicking through to the report. At the time, World Kitchen denied any responsibility in the incidents, stating that “reports of explosions comprise an extremely small percentage of the 370 million Pyrex dishes on the market, and are often the result of the consumer failing to read the instructions or of a consumer mistaking a competitor’s product for a Pyrex dish.” The company later disputed other aspects of the Consumer Affairs report. But still, exploding Pyrex incidents do happen, and they keep happening. 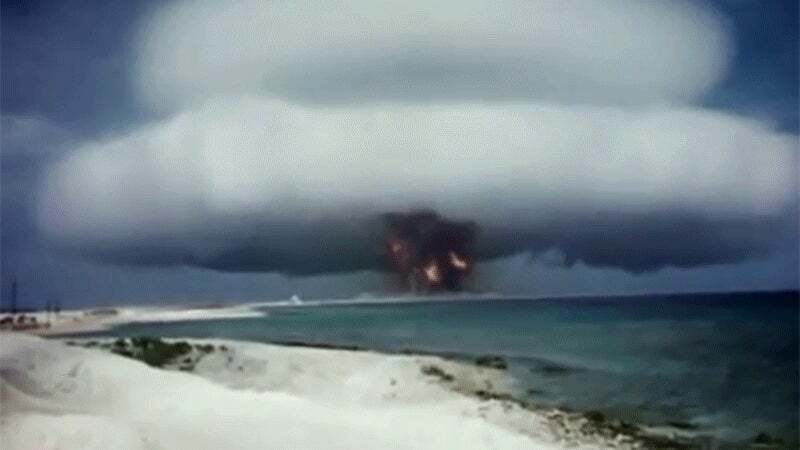 Following more reports of exploding and shattering Pyrex containers, Popular Science replicated an explosion incident in 2011, showing in a video how small amounts of stress can lead to dramatic breakage incidents due to thermal shock. 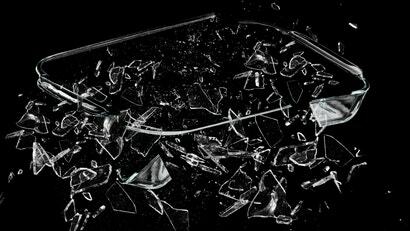 Not long thereafter, scientists with the American Ceramic Society conducted a study called “Shattering Glassware Cookware,” reviewing reports of incidents involving exploding cookware, namely that made by Pyrex. After that study was published, Pyrex parent company World Kitchen sued the publisher of the article as well as its authors in the United States District Court for the Northern District of Illinois. The company claimed that the scientific research made false and disparaging claims about Pyrex cookware — specifically its resistance to thermal breakage — and asked the court to have the paper suppressed. World Kitchen ultimately lost the lawsuit on all counts. It’s now been over 20 years since Corning licensed the Pyrex brand, and complaints about the breakage situation have recently sparked litigation. Several Pyrex customers who say they experienced exploding glass incidents themselves filed a class action lawsuit in June 2018 alleging that Corelle Brands inadequately warns consumers of the thermal breakage issue and then hides behind warnings and warranties when incidents occur. The court filing details the arguments at length and also contains some troubling images. In December 2018, Corelle Brands filed a motion to have the case dismissed. When we asked about the class action lawsuit, Corelle Brands said it does not comment on ongoing litigation. 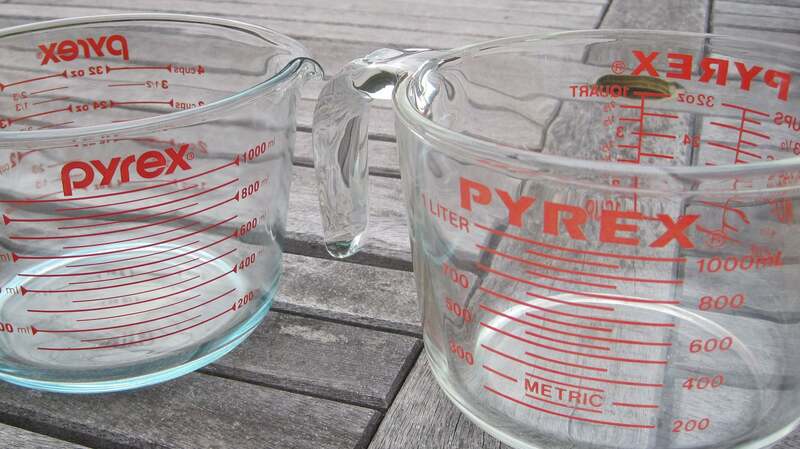 It’s difficult to draw conclusions from the on-going Pyrex controversy, if only because we’re not exactly sure how many breakage incidents are occurring and under what specific circumstances. According to Corelle Brands, Pyrex’s parent company, the incidents are rare and due to misuse. According to many consumers, however, the risks are poorly communicated, and the explosion can be unpredictable and dangerous. What does seem crystal clear on a scientific level is that borosilicate glass is less prone to thermal shock that soda lime glass. It’s also not hard to find, especially if you can live without the Pyrex logo being stamped on the bottom of your pan. Heck, Amazon Basics sells a pair of borosilicate glass pans for $US15 ($21). The equivalent Pyrex-branded set made of tempered soda-lime glass costs $US22 ($31). 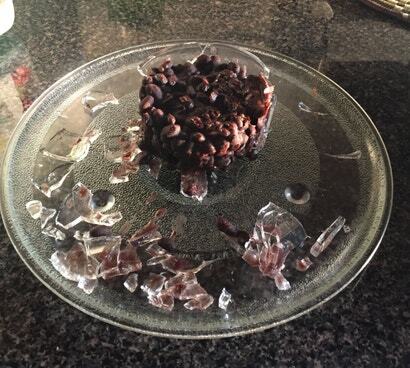 And according to experts, the Pyrex glass can explode into small pieces. Uncommon as these explosions may be, they sound bad. This doesn’t mean you should throw away all of your Pyrex cookware. You should, however, follow the company’s safety and usage instructions, which you can find here. Here’s a key quote that long list of warnings: “Avoid Sudden Temperature Changes to your Glassware.” That means don’t pour cold water on a hot Pyrex pan. Don’t put a hot Pyrex pan on a cold marble countertop. Avoiding these kinds of things isn’t exactly second nature. But following the rules it could mean the difference between a delicious cooked casserole in an intact Pyrex pan and an oven full of glass shards and food bits. We can all agree that delicious casserole is better than shattered glass!